We’re barely halfway into July, but the past few weeks have already seen several exciting updates at some of our favourite restaurants and bars in town. Labyrinth, for instance, recently embraced a new locavore slant in its food, and now serves a revamped menu centred on showcasing locally grown and sourced produce. Over at cocktail bar Jigger & Pony, preparations are underway for a relocation from its current Amoy Street venue to Amara Singapore. This will happen on 28 July, and the establishment will reopen in its new space in September. One-Michelin-starred Meta is primed for a move in September as well, to a bigger shophouse at Keong Saik Road. It has also released a new Summer menu showcasing highlights like charcoal-grilled lamb rack, pan-fried spatchcock with caramelised celeriac puree and green peas, and Carabinero prawn with sambal rice. We found the latter particularly memorable. Read on to find out more, as well as our recommendations on what to try from the new offerings at Fratelli Trattoria and Nami Restaurant & Bar. The dish: At first glance, Meta’s Carabinero prawn dish looks rather unremarkable and, well, spartan. But make no mistake — this minimalist-looking dish actually packs a hefty flavour punch. The plump, juicy prawn is first pan-seared in prawn oil and butter, before being topped with garlic crumbs and zesty kaffir lime shavings. It’s best savoured with its accompanying butternut squash purée, which is sweet and velvety smooth. But the undisputed star of this dish is its umami-heavy side of white Korean rice tossed with a homemade sambal of fermented shrimp paste and chilli, and cloaked under charred brussels sprouts leaves. 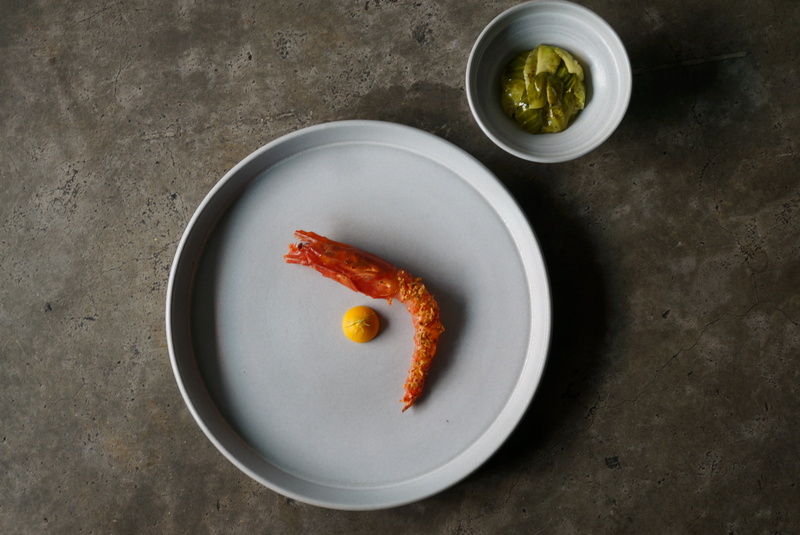 The place: Run by chef-owner Sun Kim, Meta is a one-Michelin-starred restaurant serving up contemporary Asian cuisine inflected with Korean and Japanese flavours. It recently launched a new Summer menu, available in five and seven courses. The Carabinero prawn dish is part of the latter. In September, Meta will move from its current venue at 9 Keong Saik Road to 1 Keong Saik Road. 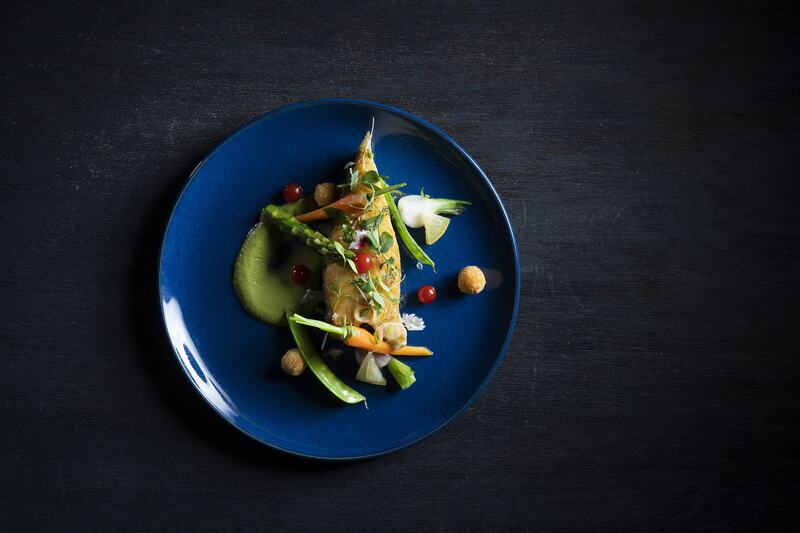 The dish: This new addition to Fratelli Trattoria’s menu features pan-seared sea bass sheathed in a crispy skin and paired with a fragrant, cardamom-scented green tea purée. Baby vegetables such as cherry tomatoes and snow peas offer crunch and colour to the dish, while an egg yolk — coated in breadcrumbs and deep fried — adds a decadent twist. Depending on seasonality, the fish may be changed to turbot. 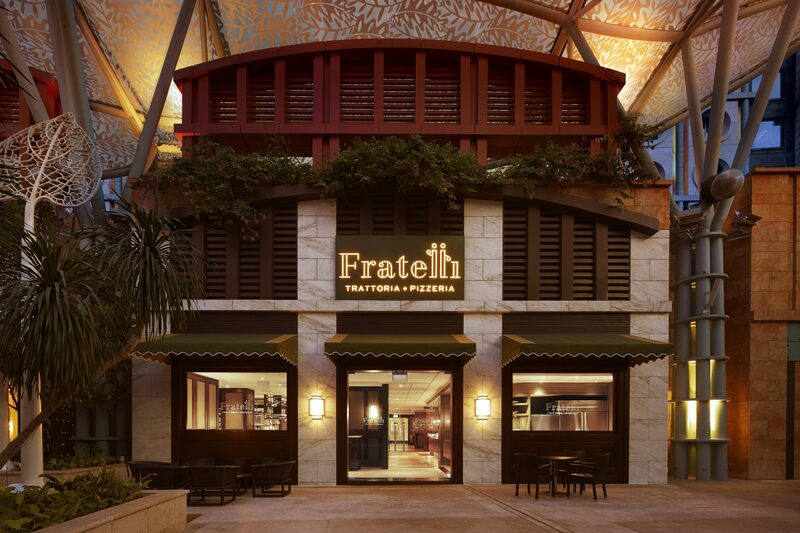 The place: Located at Hotel Michael in Resorts World Sentosa, Fratelli is an Italian establishment comprising a trattoria and pizzeria. It’s operated by Italian brothers Enrico and Roberto Cerea, who own the three-Michelin-starred Da Vittorio in Italy. In celebration of its second anniversary this year, the trattoria has introduced several new dishes to its repertoire. Its highlights include Zuppa di Pasta e Pesce (an assortment of pasta cooked in a hearty seafood stew of langoustine and prawns), and grilled langoustine tail with salmon roe and red radish espuma. The dish: A highlight on Nami’s newly launched, dashi-focused menu, this dish comprises chawanmushi bedecked with crab meat, shiitake mushrooms and mitsuba leaves. Dig into the savoury egg custard and you’ll discover springy udon noodles nestled within. Prior to serving, the udon is first cooked in a combination of niban dashi (made by adding water to the strained ingredients from an earlier dashi brew of kombu and bonito, along with more bonito shavings that have bloodlines), saba dashi (made from dried mackerel) and urume dashi (made from dried sardines). It’s then steamed with more dashi, mirin, shoyu and sake. The place: Nami is an upscale Japanese restaurant at Shangri-La Hotel, Singapore that offers everything from omakase sets to à la carte dishes. 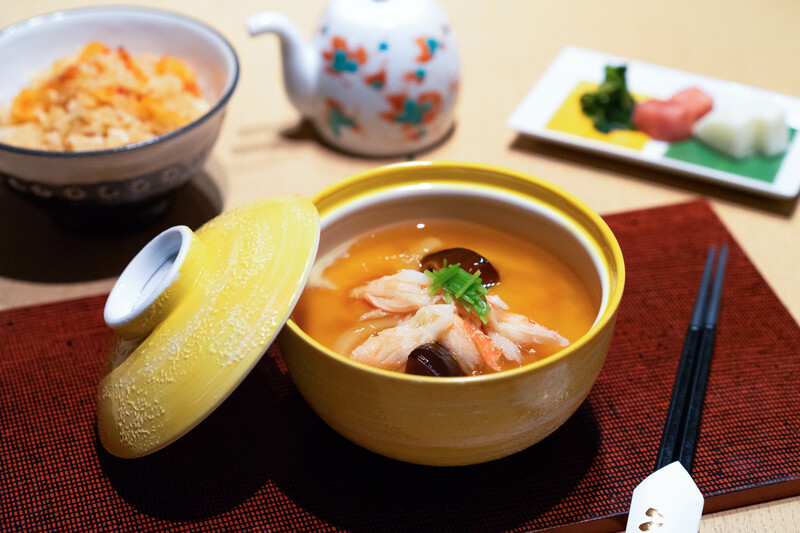 It recently rolled out its new dashi dinner menu, featuring dishes prepared and incorporated with up to eight different types of dashi — which is essentially a fundamental cooking base in Japanese cuisine. For those yearning to learn more about dashi, Nami has also launched a dashi appreciation class that takes place on the last Saturday of every month, which is followed by a four-course lunch.